However, despite this reduction in numbers the trade remains steady with butchers lambs selling from €1.84-2.23/kg and the factory lambs trading at €1.89-2.13/kg. 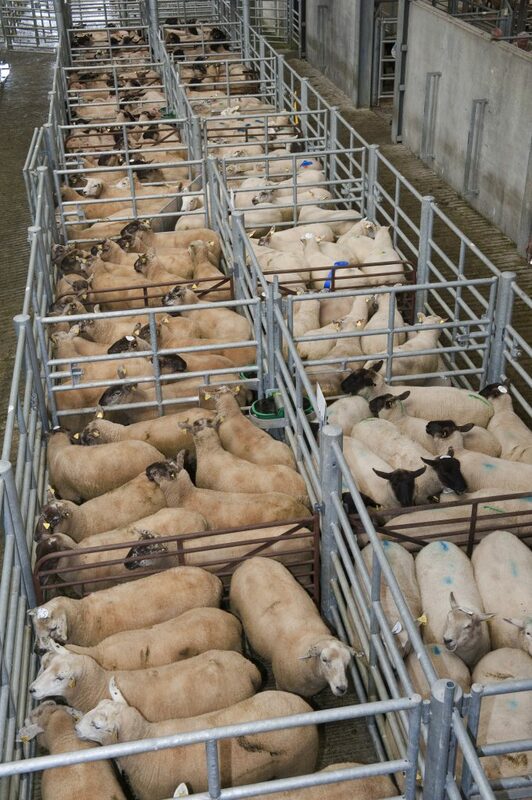 There were 500 sheep on offer in Tullamore Mart on Wednesday according to the Mart Manager Antoinette Daly. 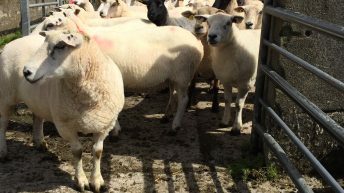 According to Daly, the trade has remained similar to previous weeks, but the numbers of cast ewes on offer had dropped significantly. 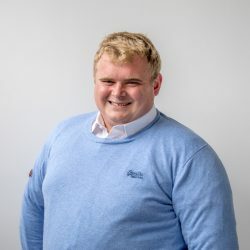 The Mart Manager added that the trade for factory and butcher lambs remained unchanged for the most part with these lots trading from €2.08-2.13/kg and €2.00-2.23/kg respectively. The was also a strong demand for ewe lambs in the Co. Offaly venue, with the best lot selling for €114 or €63 over, while one lot of store lambs weighing 36kg sold for €78 or €2.17/kg. The numbers of cast ewes on offer had dropped from previous weeks, she added, with these lots selling from €93-107/head. There was a good sale of sheep in Cahir Mart on Wednesday according to the Mart Manager Jonathan O’Sullivan, with 1050 sheep passing through the ring. The numbers of better quality butchers and factory lambs for sale had slipped slightly added O’Sullivan, but this had little impact on the price with these lots making €1.84-2.08/kg and €1.89-2.13/kg respectively. Store lambs also met with a firm trade, added O’Sullivan, with the lots selling from €27-50 over, with the lower of the prices paid for Scotch type store lambs. There was also strong demand for cast ewes, with the poorer mountain types selling from €30 each, while the better quality factory fit ewes sold to a tops of €113 each. There was a strong trade for all lots in Gort Mart on Wednesday, according to the Mart Manager Gerry Finnerty. According to Finnerty, stores in the Co. Galway were still meeting with an exceptional trade with these lots generally trading at €80 each. There was a steady trade for butcher and factory lambs, with the hammer falling on these lots from €40-50 over added Finnerty. 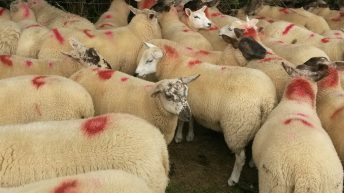 However, he added that ewe lambs were very dear and these lots generally traded from €90-100 each, there was also strong demand for cast ewes, he added, with the hammer falling on the top lot at €122 each. 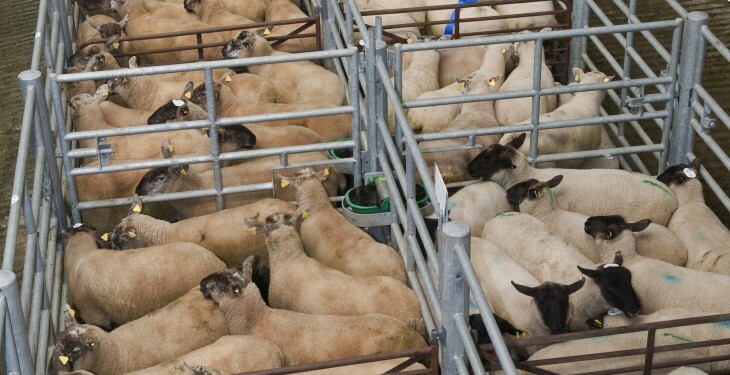 There was a large entry of sheep on offer in Manorhamilton Mart on Wednesday, according to the Mart Manager Ger Campbell. According to Campbell, the store lambs in the Co. Leitrim venue had eased slightly with the hammer falling on these lots from €60-78 each for the nice Suffolk types. There were also plenty of factory and butcher type lambs on offer and these lots made from €85-92 and €95-100 respectively, he added. The trade for the ewes lambs was also holding steady with these lots selling for €2.00/kg, said Campbell. Feeder type cast ewes also went well and these lots sold from €40-72 each while the better quality factory lots made €75-88 each. The sheep trade was a little brighter in Tullow Mart on Tuesday compared to previous weeks, according to the Mart Manager Eric Driver. The Mart Manager added that factory and butcher type lambs had improved slightly and there were plenty of buyers for these lots which generally sold from €1.92-2.04/kg. According to Driver, the store trade continues to remain strong with the forward classes (40kg) selling from €2.20-2.35/kg. There was no great change in the cast ewe market, said Driver, with these lots trading from €50-115 each.